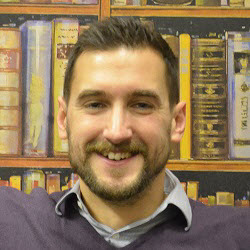 Lee Wilson is the Head of SEO for Vertical Leap, a UK Search Marketing and Digital Agency that offers the most effective and thorough search marketing service in the UK, helping companies maximise their online visibility. Based in Portsmouth and London, Vertical Leap combines specialist expertise with a bespoke prescriptive marketing platform that understands what’s happening with your website, why – and what to do about it. Lee is a regular industry writer on topics including; search marketing, digital trends and broader marketing and business subjects. Recently Lee published his first solely authored industry book ‘Tactical SEO – The Theory and Practice of Search Marketing’, and can be seen commenting on the latest digital updates online. Lee has been heading up digital departments since the early 2000’s with experience working in house and at agency level, covering many hundreds of client projects. How Long Will it Take for Your New Website to Rank in Google?